We work with a diverse range of projects in Argentina, from schools and a children’s home, to a horse-assisted therapy centre and a music therapy programme. The projects are all located in the province of Cordoba. 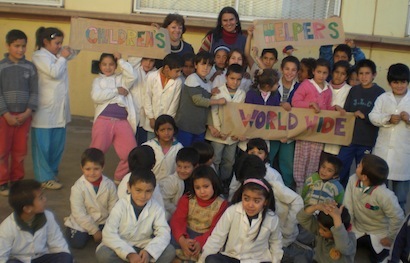 It is possible to volunteer with some of our partner organistions in Argentina. CHW would like to thank the following people, who were of great help to us when we were first establishing our projects in Argentina: Gonzalo de Castro, Cecilia Gonzalez Biatturi, Virginia Gonzalez Biatturi, Susana la Rosa and Susana Reyes. We would also like to thank Gabriela Zambrano and Gustavo Valverde for introducing us to further projects.